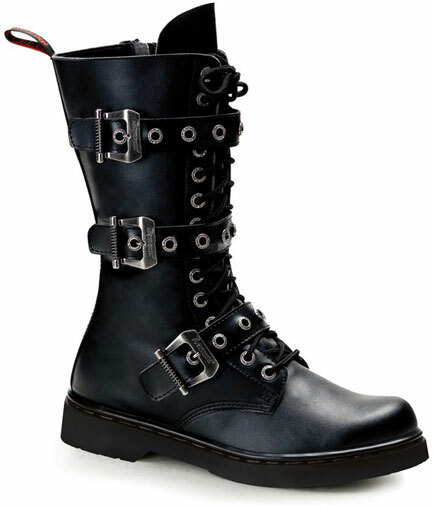 These great looking boot by Demonia feature three buckle straps with spring adorned buckles. 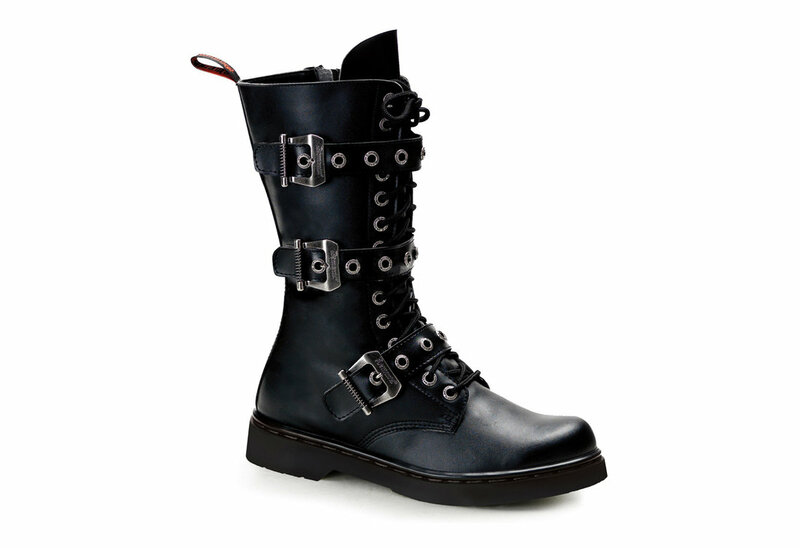 This pair of 14 eyelet boots have sturdy grommets in straps and lace eyelets. Made from PU these boots are also vegan friendly. Not only do these boots look great they are super comfy. Awesome boots -much too big, though. Not to take de-credit the boot, I had read on previous reviews that a size 7 in women's would be a size 9 in men's but these had a quite a snug fit. Since there aren't half sizes available I didn't mind the thought of snug boots but I got the opposite, a lot of room in the boots even if tied tightly. I have had these boots for a while now and they hold up great! Really comfortable and looks kickass! Highly recommend! 15 people found this usefull. Was this review helpful to you?